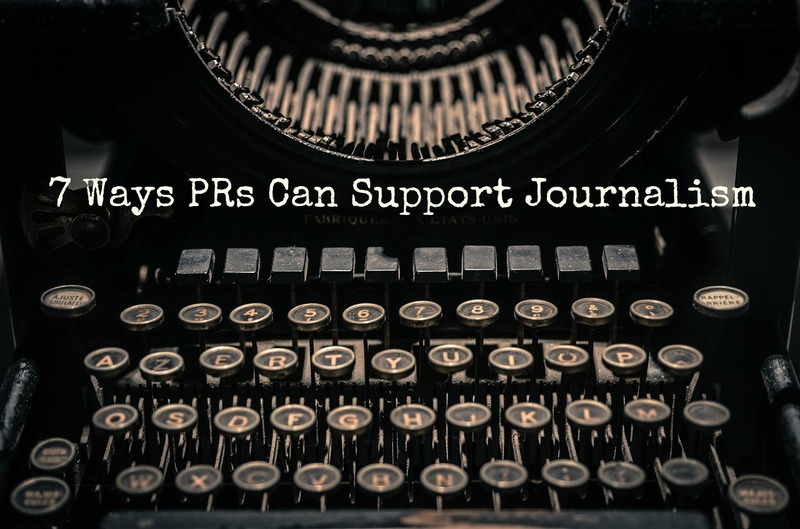 There are now five PR people for every working journalist. This may seem like a good thing for the PR business as companies increasingly tell their stories through social media and branded content. But as stark evidence that sources of objective news are shrinking, it’s not a healthy sign for either industry. What may be more alarming are indications that journalism is under siege. On any given day the president is deriding “fake news” reports, calling CNN “dishonest,” or attacking the “failing” @nytimes. And for their part, media do sometimes fail; just look at ABC’s recent suspension of Brian Ross over inaccuracies in a sensitive political story. Many blame Mr. Trump for the loss of confidence in the MSM, but the erosion probably started decades ago, with the rise of conservative radio. As right-of-center radio host Charlie Sykes puts it, “we’ve done such a good job of discrediting (the mainstream media), that there’s almost no place to go to be able to fact check.” But what’s interesting is how the mainstream press has weathered the attacks against it. Attacks by the president and his allies have sparked a new appreciation for the media by those who used to take it for granted, and that’s a good thing. So, what’s a responsible PR person – or informed citizen – to do? The recent “credibility crisis” in the mainstream press, as well as various reactions to media criticism, offer some suggestions. Time to up those subscriptions, PR pros. Beyond our own consumption, now is a great time to support the types of journalism that are under the most pressure — local news reporting and investigative journalism. If you have enough subscriptions, donate. Jay Rosen tweeted this NewsMatch list of news and journalism organizations for last week’s #givingTuesday; these groups probably deserve as much consideration as your favorite charity, and all donations through December 31 will be matched. I know, digital ads can be annoying and irrelevant. But they’re getting better, and they are what pays for journalism. Do we really want to have it both ways when we know the price of a weakened news media industry? Headlines can be deceiving. Before we share that infuriating tweet about Congress or the latest “tips” post on content marketing, maybe give it a look, because it may just be a sign-up page for someone’s seminar, or paywalled, or even a hoax. It’s not always what we think. It’s easy to get sloppy, or worse, in the rush to meet deadlines and client expectations. But no one can afford to be lazy or hasty about attributing quotes properly or noting proper sources. And journalist Anna Clark has the right idea when she advises bloggers and social sharers to attribute to the original source, not a secondary story that aggregates or summarizes. Yes, it may take an extra step to find the link, but it’s worth it. Aggregated news is not original journalism. This is a tough one. But I agree with Josh Stearns of The Democracy Fund when he advises a “diverse media diet with a good mix of indie and alternative news, local, national and international coverage, niche and countervailing points of view.” The news-source tunnel vision that we’ve adopted is not contributing to better journalism. Fake stories and rumors can bubble up from a misperception or mistake that was never corrected, leading to further distortion. It’s incumbent upon PR professionals to be scrupulous about the facts of any story we promote or share, and to hold both clients and journalists accountable when it comes to storytelling and fact-checking, even down to the tiniest details. That study that shows ice cream enhances mental performance – who funded it? As PR pros, many of us have deep experience promoting health news, often funded by large companies, and usually supporting the organization’s brand or bottom line. There’s nothing wrong with this. But we do need to be both scrupulous with the facts and transparent about the funding and sourcing. All news consumers should note who’s offering the information, who benefits, and most of all, who’s paying.